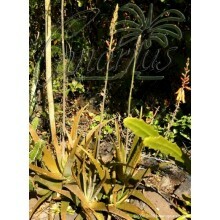 This aroid from semi-dry areas is named so because of the similarity with some cycads in the genus Zamia. 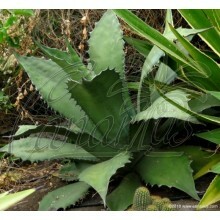 It is native to E - SE Africa, that resists to many different conditions. 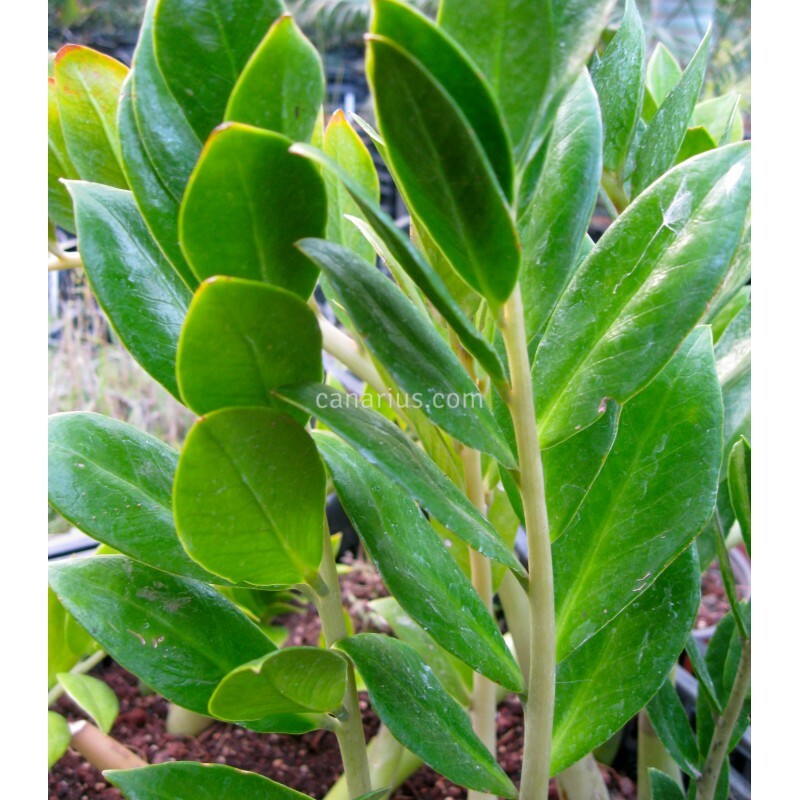 Its showy glossy leaves are produced from a stout underground, succulent rhizome. It is very easy to grow, and the unusual flowers are a nice addition.It is normally evergreen, but becomes deciduous during drought. This aroid from semi-dry areas is named so because of the similarity with some cycads in the genus Zamia. 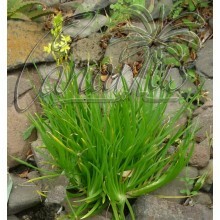 It is a perennal plant native to E - SE Africa, that resists to many different conditions. Zamioculcas mostly occurs in open,dry forests and its showy glossy leaves are produced from a stout underground, succulent rhizome. It was described in 1829 as Caladium zamiifolium, and it was quite uncommon in cultivation until the 1990's, when it was offered in the market as a house plant. 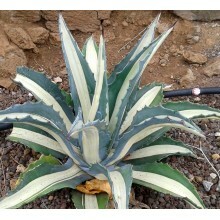 It is very easy to grow, and the unusual blooms are a nice addition.I t is normally evergreen, but becomes deciduous during drought. 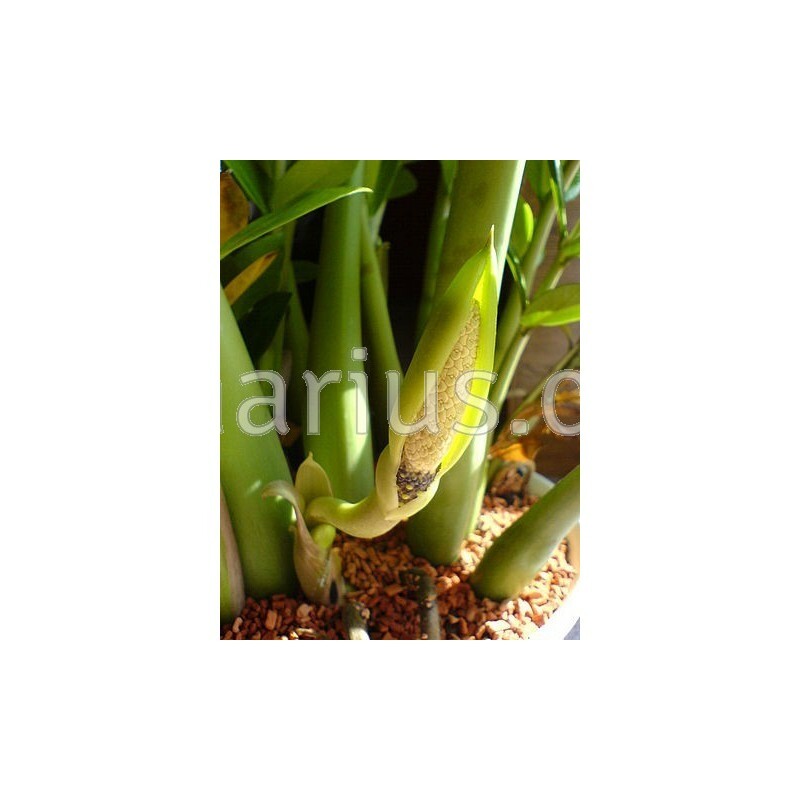 We offer a bare-rooted plant, grown in a 16 cm pot.